In 2016, the Centre for Science and Environment (CSE) came out with a report on Solid Waste Management titled, “Not in My Backyard: Solid Waste Management in Indian Cities”. It was clear from the report that cities that are segregating their waste have been able to effectively process and treat it. While some have achieved the status of zero landfill cities, others are working towards becoming Zero Waste. With the objective of promoting segregation, CSE, on December 12, 20187, launched a platform called the ‘Forum of Cities that Segregate’. This one-of-a-kind initiative was launched with 20 cities from 13 states of the country to develop a knowledge exchange platform for participating cities on solid waste management (SWM), training and capacity building on source-segregation model of SWM, tracking and assessing the progress of cities on source segregation among other parameters and collate the feedback and inputs from the forum cities and provide policy-relevant information to the state governments and Centre on SWM. The argument that segregation is the key for waste management was only strengthened recently with the release of the Swachh Survekshan 2018 results. Most of the cities in the country that are ensuring segregation of waste at source have been in the list of the awardees. It is now well understood that segregation at source is at the heart of the waste management solution. It improves collection efficiency and leads to better efficiency in processing of waste and resource recovery. Five out of 20 Forum cities were adjudged in various categories for their work on waste management and sanitation. Indore and Bhopal ranked 1st and 2nd in 2018 (last year’s cleanest cities) have shown significant improvement this year in segregation at source and opting for decentralised waste management approaches. Mysuru, which has been a pioneer in waste management for the past many years, has been awarded as India’s cleanest in the 300,000 to 1,000,000 population brackets.. Greater Hyderabad has been recognised for the best solid waste management practice in all capital cities/ UTs of the country. The city has undertaken mass campaigns for source segregation. When it comes to cities less than 100,000 population, Panchgani has emerged as the cleanest in the west zone. This small hill station has incorporated practices such as 100 per cent source segregation, collection and processing of solid waste. What are the two cleanest cities doing to manage solid waste? For the second year in a row, Indore and Bhopal have secured first and second rank as India’s cleanest cities. Both have initiated source segregation among the residents as they firmly believe that waste management is only possible if waste is segregated at source. Indore has achieved 100 per cent source segregation not only in households but also in commercial spaces. Citizens are being encouraged to practice home composting, while more than 700 temples, market areas, parks, gardens and other bulk generators are treating wet waste in a decentralised manner. Residents, who are composting, can sell their home-made compost at a centralised facility at a fixed rate. All the wet waste in the city is being composted while all the dry waste is being channeled for recycling. The remaining non-recyclable dry waste is made into refuse-derived fuel (RDF), which will be used when the waste-to-energy plant, which is under construction, is ready. Less than 10 per cent of the city’s waste now goes to the landfill. Bhopal has also successfully implemented 100 per cent source segregation in households, commercial establishments and bulk generators of the city. Both centralised and decentralised processing is being practised in Bhopal. About 275 tonnes of waste is being treated by centralised composting centre at Bhanpur and 25 tonnes of waste is treated via decentralised methods. Few RWAs and bulk generators are also segregating and treating their wet waste in-situ. Currently, the city is setting up an integrated waste management facility spread over an area of 46 acre in Adampur Chavni area. The facility will have a waste-to-energy plant, compost plant, provision of dry waste to RDF centre, and sanitary landfill and leachate treatment plant. Even though there is a centralised treatment unit, the bulk generators and households are encouraged to treat maximum waste at source. The Bhopal Municipal Corporation (BMC) launched ‘KABAAD SE JUGAAD’—a people-driven initiative towards solid waste management in which BMC is just a facilitator and the entire process is run by the community. Mysuru has been adjudged as one of the cleanest cities in the country for many years. This is not only because of the aesthetic cleanliness but also due to the waste management system that the city has strengthened over the past few years. The city encourages its residents to hand over segregated waste to the collector. 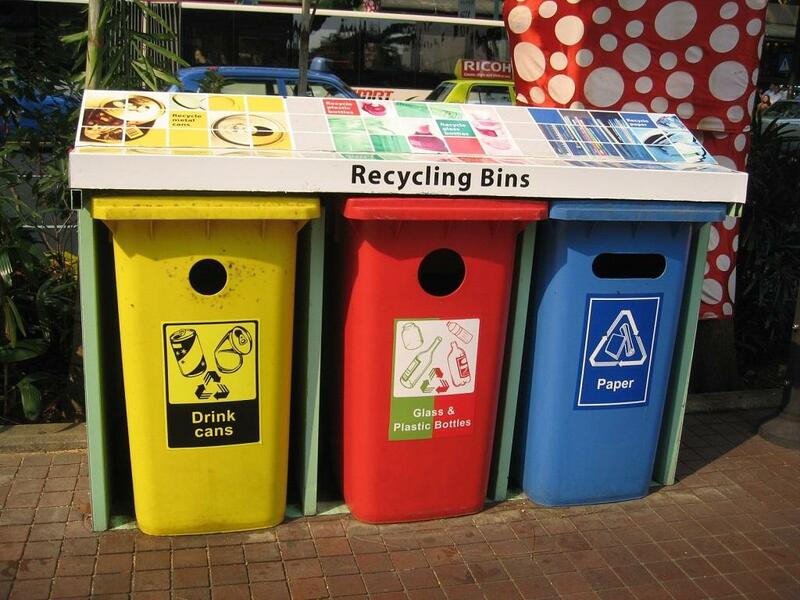 The city has 47 dry waste collection centres apart from a Zero Waste Management Unit (ZWM) in seven zones. Segregated waste from 2-3 wards out of 5-10 wards in each zone goes to the ZWM where the wet waste is composted and dry waste is further segregated into as many as 28 fractions. These seven ZWMs are run by local NGOs and self help groups who make money from the sale of compost and dry recyclables. Mysuru treats close to 60 tonnes of wet waste and 90 tonnes of dry waste per day through decentralised waste management and 85 per cent of the city is segregating its waste. The wet waste from all other wards and commercial spaces goes to a centralised composting facility run by Infrastructure Leasing and Financial Services (IL &FS) while the dry waste is stored in dry waste collection centres and are sold by waste collectors for extra income. Less than 20 per cent (90 tonnes) of the total waste generated (447 tonnes) goes to the dumping ground. The city sets an exemplary model for waste management, involving all stakeholders. Panchgani, a famous tourist destination, has made outstanding efforts in making its city clean while making sure that all the waste is scientifically treated. Being an eco-sensitive region, the city has very few options for waste processing and disposal. Through constant effort of the municipal council, it has been successful in implementing 100 per cent segregation in all its 2,755 households and commercial spaces. The city generates some seven tonnes of waste every day and processes every bit of it. After collecting segregated waste, the dry waste is segregated further in as many as seven categories such as glass, metal, rubber, clothes, recyclable plastic or bottles, shredded plastic and footwear. The wet waste is composted and sold while the dry waste is sent for recycling to Pune. The previous garbage disposal site is now converted into a garden, which also serves a tourist point named Swachh Bharat Point. To promote waste segregation among residents, the greater Hyderabad Municipal Corporation (GHMC) came out with a plan to bring together citizen volunteers called ‘Swachhdoots’ who will visit individual households and commercial establishments to apprise citizens on the practice on segregation. The city has brought together 3,000 swachhdoots who are not only now apprising the citizens but also monitoring segregation status in the city. The city has also been working on integrating waste pickers in to the formal setup of waste management by offering them a vehicle in turn for service under a programme called ‘Swachh autos’. Each person is expected to collect segregated waste from 600 households and the money made from collection of user fee and sale of dry waste goes to the collector and helper directly. This is one of the many other initiatives of GHMC. Another initiative is called the ‘Black bag campaign’, introduced with an aim of creating awareness and promoting the 3R principle—Reduce, Reuse and Recycle—for plastic waste. Money made from the sale of recyclable plastic goes towards livelihood development of the informal sector in the city.